Tracee Boxley, acting chief information officer of the Government Publishing Office since November 2016, has been promoted to serve as GPO CIO on a full-time basis. She has led the GPO’s technology infrastructure modernization, legacy system transformation and cybersecurity efforts over the past year, the agency said Thursday. As CIO, Boxley will oversee policies and standards related to the procurement and implementation of information technology and telecommunications systems, as well as manage operating budgets for network IT systems in accordance with program plans and financial guidelines on the utilization of information resources. “Tracee’s IT background and knowledge of GPO will provide leadership to this critical position, as the agency continues to meet the ever-changing technology requirements of Congress, Federal agencies, and the public,” said GPO Director Davita Vance-Cooks. 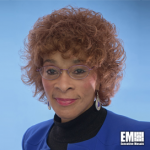 Boxley previously served as chief of the american housing survey division at the Census Bureau, deputy CIO and chief of the technical services division at the Food Nutrition Service and director of IT operations at the U.S. Army.